Saturday 27th January sees Sandhurst Joggers provide pacers at Bracknell Parkrun. We’ll have members pacing times from 22 to 44 minutes. It will be a great morning for the club, giving back to the local community and providing an opportunity for local runners to see what a friendly club we are with members of all abilities. Even if you haven’t been assigned a job as a pacer please come along and join us anyway. It will be very sociable and we can show what a strong club we are by turning Great Holland Recreation Ground red! Please arrive at 8.30am to allow time to prepare ahead of the 9am start. Patrick has printed a full set of ‘times’ to help identify pacers, please bring pins. If you’ve never been to Parkrun Bracknell before the event is held at Great Hollands Recreation Ground, South Road, Bracknell, Berks, RG40 3EE. The weather is forecast to be dry but cloudy, with rain not due until later in the day. However with so much recent precipitation part of the course will still be muddy. Temperature should be about 5 degrees C so dress accordingly. Planning: It sounds obvious but make sure you know in what time you are hoping to run each kilometre. Check the average paces per km or mile depending what measure you use but be prepared to adapt to the course and conditions. There are plenty of online pace calculators and pacing apps that you can download to your watch. Start: It will be crowded but don’t worry about the traffic as it will thin out and there will be 4.5km to adjust for any time lost due to the crowds. Most importantly keep it steady, don’t surge through small gaps forcing your followers to sprint to catch back up. Starting position: Check back over previous weeks’ results to give you an idea of what position your chosen pacer time would typically get you. This will help you position yourself at the start. I saw that 25 minutes typically positioned you in approx. 50th place so on a recent test run I started on the 5th row with roughly 50 runners ahead of me. This will be harder the more crowded it becomes so try to be aware of how far back you are. Also be aware of your ‘minute man or woman’. 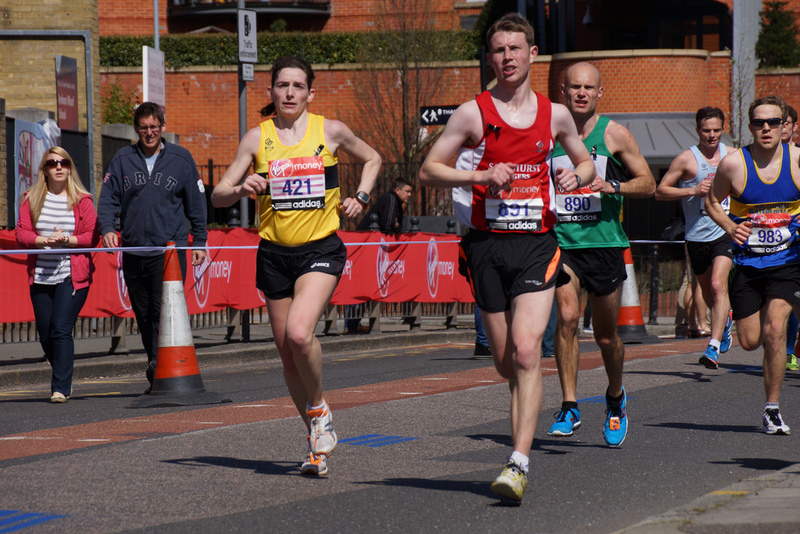 Don’t overtake the pacer in front of you but instead use them to help you judge your pace. Remember the gap to the pacer in front should gradually increase over the 5kms. Course layout: The great thing about the Bracknell course is that it is almost exactly 2km long (1.9km according to Strava but many people will be starting at least 100m from the front) and the finish is positioned almost exactly 1km after the start so essentially you are running 5 x half laps. This means you can use the start and finish as landmarks in case your GPS watches don’t track accurately (and the tree cover at Bracknell can cause poor reception). However the trickiest aspect of pacing this course is that those two halves are very different! The first half which includes the tarmac path, the downhill through the first woods, the short climb up to the football pitches and the sections past the pitches and tennis courts is relatively flat. Try to keep it smooth on the downhill from the start and remember you’ll be running this section three times so this will more than make up for the slower splits you’ll see on the second half of the course. The second half starts on the woodchip adjacent to the finish and leads into the trees, weaving up through the woods near Nine Mile Ride before dropping back down through the trees to emerge at the foot of the steepest climb up onto the main field near the end of the lap. Its narrow and twisting so you might get stuck behind a bottleneck but be patient, there are plenty of open sections to pass and make up time. Don’t push too hard through the wooded sections and resist the temptation to try to hold your ‘average’ target pace as this will push those you are pacing into the red! Its absolutely fine to hold a consistent effort and give away a few seconds through the woods knowing that you’ll have plenty of time to gain those back on the flatter parts of the course. Be particularly careful climbing out of the trees, take it steady here, re-group on the flat and then you can pick up the pace as you pass the start area each time. Changes in speed: If you find yourself behind or ahead of schedule try to make smooth adjustments to get back on pace. Remember that the runners who are with you might be trying harder than you and if they are shooting for a PB they could be at their maximum effort so a dramatic change in pace could break them. Again, keep it as smooth as you can. Final km: Try to hold that consistent pace all the way to the line so you finish as close to target time as possible. Some runners may pick up the pace, running ahead to beat their PBs. If this happens let them go, you’ve done your job perfectly. Shouting encouragement to those with you is fine throughout the run but definitely in the final km. Finish: If you’ve paced it well and are arriving at the finish in exactly the target time you can wave through any runners with some energy left in the tank. This will mean they will be under your target time and might get themselves a new PB. Again, you’ll have done your job well and they’ll likely be pleased. It is slightly uphill to the finish line so take that into account. If it goes wrong: Don’t worry. Pacing is a tricky thing to do on the track, let alone in a muddy park over uneven terrain surrounded by hundreds of other runners. Most runners won’t complain if you are a little ahead of schedule as you’ve potentially helped them go faster than ever. If you are a bit behind schedule, runners will have another chance to beat their times next week… and the week after that… and the week after that. And Sandhurst Joggers may offer more pacing in the future and give you the chance to refine those pacing skills further.